How can you fight a war with nonsense? 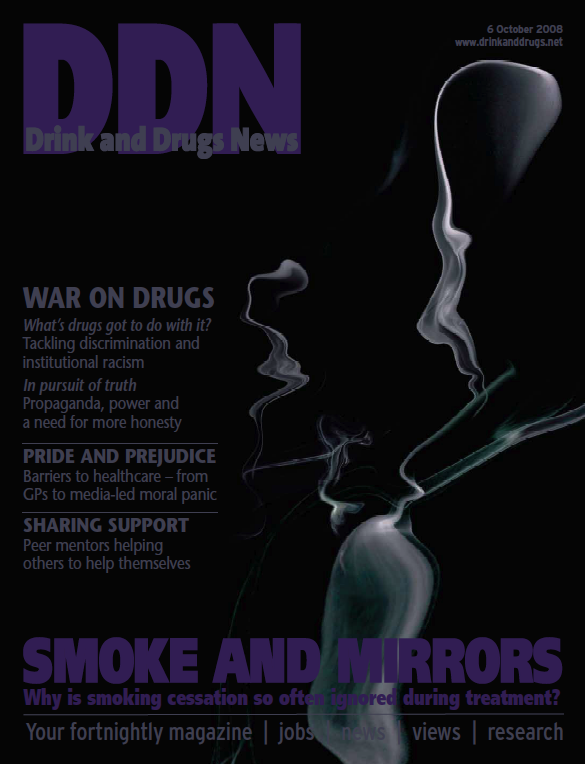 There’s some tough talk on the ‘drug war’ in this issue, and we make no apology for that. Danny Kushlick’s piece (page 12) highlights how drug policy is governed by forces other those at the heart of drug work, ignoring many respected names who speak out against prohibition. Who controls received wisdom? Whatever our views, shouldn’t drug workers be at the heart of policymaking, bringing much needed experience of clients’ public health needs to the debate? The national press often have a lot to answer for in making our jobs (or experiences of drug treatment) more difficult – but interestingly, we always land the blame on the tabloids. Chris Huhne, speaking at the Release conference (page 10) says ‘we need to get the debate back to what works, rather than what titillates the tabloid newspapers’. But the broadsheets are equally capable of pulling us backwards. Only today, as we go to press, a Times columnist headlined her piece with ‘Say no, no, no to the rehab industry’ and proceeded to tell readers why the 150,000 people working in drug action teams are helping to rip off taxpayers by contributing to a ‘pharmaceutical holding pen in which the UK’s addicts can be corralled’. Furthermore, ‘the industry doesn’t care,’ she says. Do their readers believe this? Unfortunately, judging by the remarks on the online version, many do. ‘Two months is usually sufficient to get most people off drugs,’ the columnist proclaims confidently, with no consideration of factors that might contribute to a drug-using background or exacerbate relapse. I know you’ve read many of these pieces before, but their frequency is a stark reminder of how difficult it is to engage in informed dialogue outside of this field. Talking of changing culture, our cover story presents a huge challenge: are you prepared to treat smoking seriously in your drug service? It’s an issue that you might not want to tackle – but will you be taking it on board?